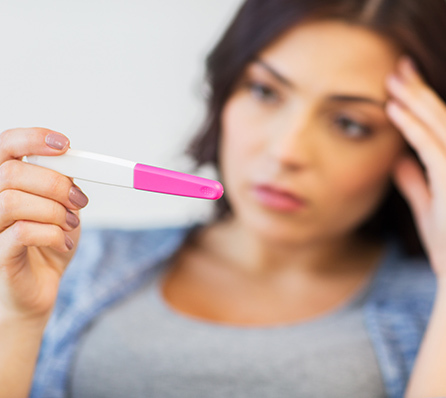 Infertility is a growing epidemic with every 1 in 6 A­ustralian couples having trouble conceiving. Fertility challenges can often be a long, expensive, emotionally draining and a time-consuming hormonal roller coaster of fertility treatments, doctor’s appointments, tests and procedures. If you are struggling with fertility challenges right now, or know someone who is, this article may offer an option you hadn’t considered before. While there are numerous reasons for experiencing fertility issues, one problem that can be easily overlooked by conventional fertility specialists is gluten intolerance. A 2011 study identified that women who were sensitive to gluten had much higher rates of unexplained infertility. This study looked at 188 patients and found that 5.9% of those with unexplained infertility turned out to have celiac disease which was diagnosed by specific tests. They all went on to conceive within a year of one simple dietary change – they removed gluten. How does gluten mess with the body? Both gluten intolerance and celiac disease can cause a wide variety of symptoms. Rashes or eczema and so much more. Gluten has also been found to cause malabsorption of vitamins and minerals by causing damage to the gastrointestinal tract. The side effects of these nutritional deficiencies are muscle spasms, irritability, hormone suppression, memory loss, high blood pressure and infertility. So when it comes to conception and fertility, nutrition is critical. 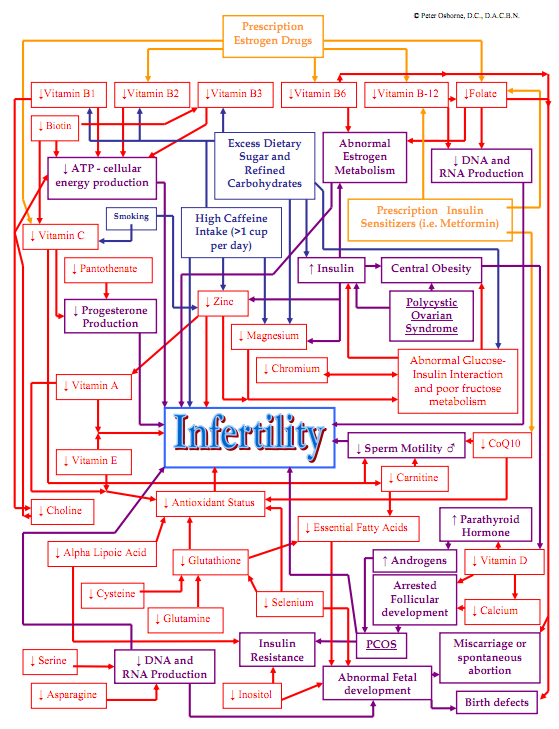 Nutritional deficiencies can contribute to infertility in numerous ways which the diagram below demonstrates. Gluten also causes chronic inflammation. Inflammation is also associated with pregnancy problems, including gestational diabetes and preterm labour. My recommendation is for you and your partner to eliminate all sources of wheat and gluten for at least 3-4 months. Find an integrative practitioner who can help you make these changes and recommend other fertility practices that would meet your particular needs. Please note that many people can often make the mistake of assuming that gluten free products are automatically healthier than those containing gluten. However, this is not the case as most pre-packaged gluten free food has many added sugars, additives, preservatives, colours and chemicals. If you want more individual nutritional advice to enable your body to be in an optimal condition to conceive, please contact us directly for a health review, we are here for you. Love this article & gluten free works! Side note……please darken the ink in your articles. It’s faint & I couldn’t hardly read it.